This is an admin function. Basic users will not be able to invite new users to the library. You don't have to tackle this on your own! Start setting up your account by inviting colleagues to your library so they can start learning too. At the top of the navigation, click Admin. Then select Users & Permissions in the dropdown. 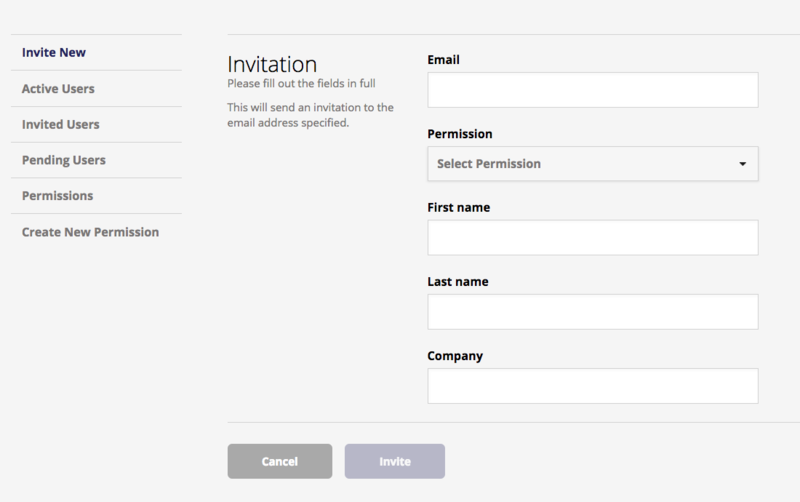 Invite new users by entering their email and choosing a permission level. Permissions dictate which folders a user can access, and their access abilities. If you are just trying things out, you can pick our default Basic permission. Click Invite to send the new user an account creation link.